Serving the greater Chicago area including Edgewater, Lincoln Park, Lincoln Center, North Center, Edison Park, Portage Park, Logan Square, West Town, Beverly, Hyde Park, Bridgeport, Near South Side, Barrington, Northbrook, Wilmette, La Grange, Orland Park, Wilmette, Hinsdale, Wheaton, Highland Park, Lake Bluff, Geneva, Woodstock, Frankfort and the surrounding areas. CALL US TODAY AT 855-796-8873 for a FREE ESTIMATE. 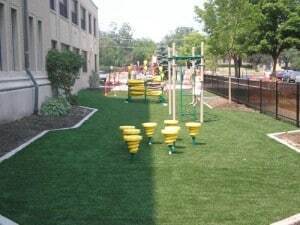 Celebrity Greens Chicago is the Authorized Dealer, Designer and Installer of Artificial Grass, Artificial Turf and Artificial Putting Greens for Chicago and the surrounding areas. Celebrity Greens Chicago is a design & build company for both residential and commercial turf customers alike. Our installers are true craftsman and take great pride in every installation they complete. Whatever the project, the attention to detail, quality turfs and experience are second to none. Contact us today at 888-507-7960 for a FREE estimate!